If you are spending lot of time on pinterest then you must have seen the activated carbon for face mask craze along with other DIY products. Activated charcoal is known for its super detoxifying power and cleansing power. If you have a skin problem, this ingredient can definitely help you. Activated carbon for face mask is a great remedy to drawn out toxins, it is perfect for those who tend to have skin problems like blackhead and acne. For those of you who have been thinking of how to make your own activated charcoal faskmask, Here is out DIY charcoal face mask recipe that you can easily try out at home. We found most of of our charcoal mask ingredients on Amazon, but you should also be able to find them at a local health store. Mix all the ingredients together in a medium bowl or container. Keep in mind that you aren’t not using any type of metal containers to to mix the ingredients – because the clay will absorb the metals and becomes less effective as a mask. Start applying the mask to your face, being careful not to get any on your clothes or sheets (the charcoal can leave a stain). Leave the mask on for about 10 – 12 minutes, then wash it off with lukewarm water and a soft cloth. 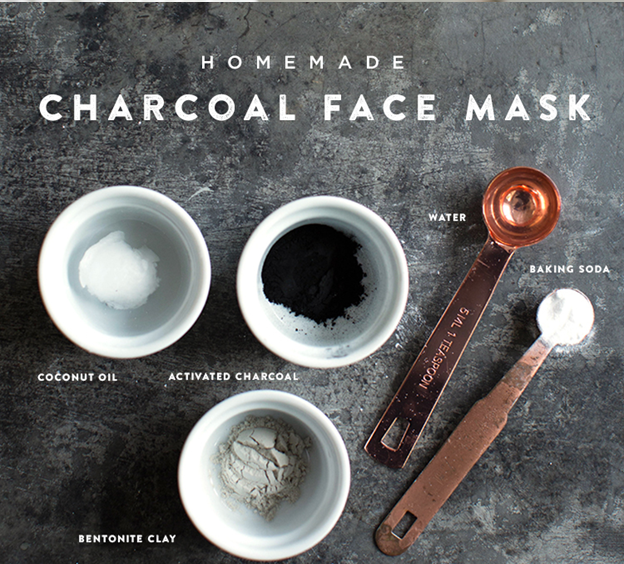 Find a printable version of this DIY charcoal face mask in the template at the bottom of the post! Activated Charcoal is a 100% organic / natural ingredient, it can be very strong, so we recommend testing out this face mask recipe on some small part of your skin before applying it to your face. This facemask requires activated carbon / activated charcoal. Please do not use your grill charcoal for face mask. Charcoal mask has the power to draw out harmful toxins, we recommend to apply moisturizer to hydrate afterward so that your skin doesn’t dry out quickly. This recipe only makes enough mixture for one coat of mask. Please do not make more than you will need, because it tends to dry out out pretty easily and you won’t want it to go to waste. 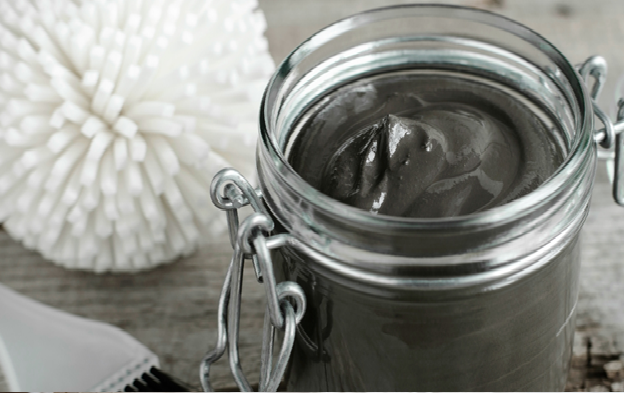 Add a this recipe of charcoal face mask to your beauty routine every few weeks. Do not over apply it as it can lead to a really dry skin. Try this at home and Deep clean your skin and remove impurities with this revitalizing DIY Activated carbon for facemask. This fun homemade face mask is super effective at killing toxins, getting rid of acne, and giving your face a super fresh feeling.